Note:the process of making paper bowls,paper buckets are the same as making paper cups. 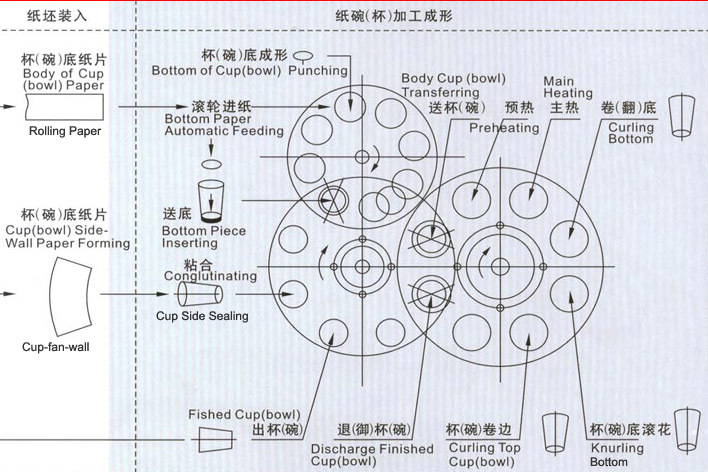 The general structure of paper cup(bowl) shaping machine is composed of fice parts.They are the first stage,the medium stage,the second stage,the third stage and its outer shell. The fourth stage:mainly includes motor,reduction gear and so on.A frequency converter is used to finish adjusting its speed and providing power.